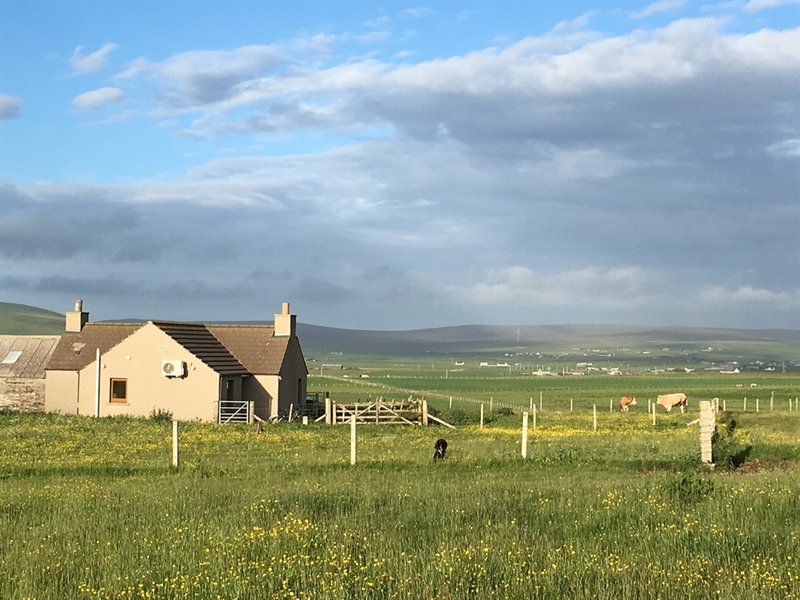 Newbigging Orkney Self Catering is a tasteful one bedroom cottage located in peaceful farmland with spectacular views. Only 3 miles from local amenities in the small village of Dounby and most of the historical sites are within a 15 minute drive. Rabbits, hares, larks, wrens, starlings, black birds, swallows, geese, the occasional hen harrier and heron are your nearest neighbours! 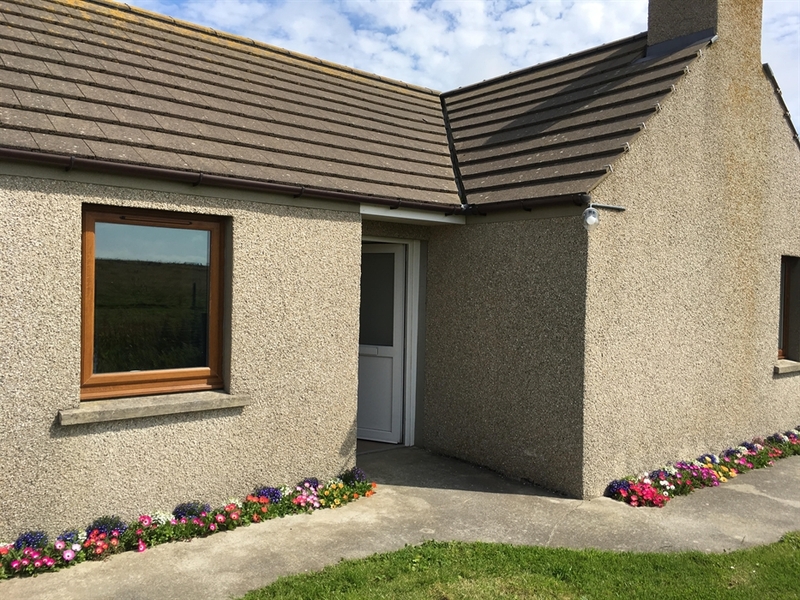 From Newbigging Cottage you have breathtaking views of the Hoy Hills in the south, the lochs of Stenness and Harray to the southeast and views over the parishes of Sandwick, Harray and Birsay, giving a fantastic feel of Orkney. The cottage is located on our farm but is up the track from the farmyard and house so you have a truly "get away from it all" location. Newbigging Cottage is the perfect location to get away from the stresses of work, the busy city life or just to relax in peace and quiet. It is situated on a hill and so has beautiful panoramic views over the surrounding farmland and Orkney landscape. The cottage is beautifully and tastefully decorated. Comfort and convenience in a home from home in a stunning setting. The family farm raises beef cattle and sheep and we are happy to answer any questions or help you plan your day. Dave is a keen trout fisherman and sea angler and will happily share his knowledge. Kay enjoys walking and has a good knowledge of her birthplace, being a proud Orcadian. Newbigging Cottage is the perfect location for trout fishing and goose shooting, please get in touch for more information. Please call at the house at the end of tarmac across from the caravan and then I will show you to the cottage. Turn left 0.8 miles and come to the end of the tarmac.